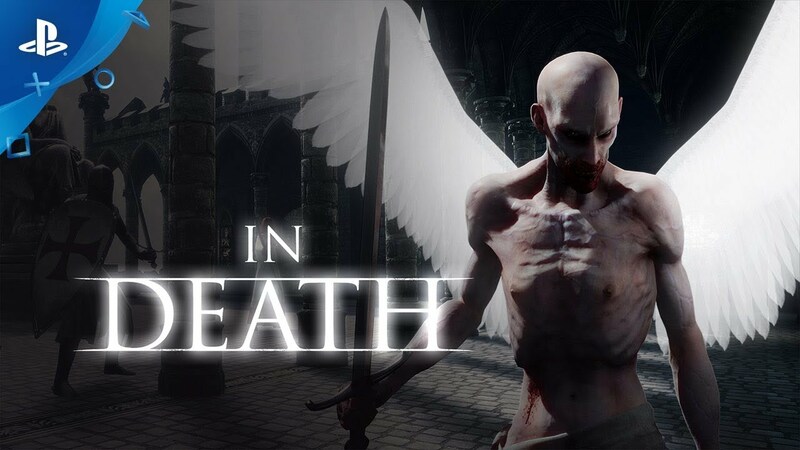 A roguelike VR shooter, In Death is set in a procedurally generated medieval world of floating ruins, where forsaken souls, angelic hordes and demons alike have run amok. A roguelike VR shooter, In Death is set in a procedurally generated medieval world of floating ruins, where forsaken souls, angelic hordes and demons alike have run amok. Battle deep into the Afterlife to restore Harmony. Engage in intense ranged combat with your weapon of choice and ever more powerful loot. Challenge other players to scale The Ladder, in asynchronous multiplayer mode. Inspired by classic Roguelike dungeon crawlers, In Death pays homage to this merciless genre. Each procedurally generated run uses a random seed to generate the map and enemy spawns. Game progression is driven by an achievement system that persists across each run and scales the difficulty level in lockstep with your mastery of the game. Make intense kills with your bow, using your shield to block attacks or defend against short-range melee threats by bashing enemies. Upgrade your bow with a host of special arrows gained by looting monsters, pick-ups or by visiting item stores where you can power up with a range of intense special arrows to help you blast through ever harsher enemy encounters. Experience a locomotion system tailored for VR comfort. Switch instantly from combat arrows to a magic teleport arrow to navigate anywhere you can shoot. Or throw the teleport shard to perform short strafes, dash around corners or quickly retreat from overwhelming opposition. Copyright 2017-2018 Solfar Studios ehf. In Death and Solfar are Trademarks of Solfar Studios ehf. All Rights Reserved.